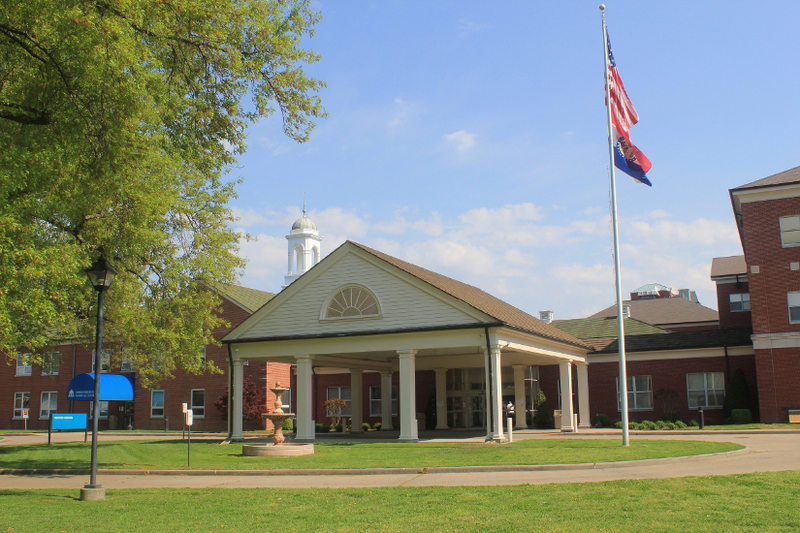 Missouri Delta Medical Center (MDMC), located in Sikeston, Missouri, is a 144-bed, not-for-profit, sole community hospital with thirteen clinics. MDMC provides over 25 different services including emergency medicine, rehabilitation therapies, imaging, surgical services, laboratory, primary care, acute care, women's care and oncology services to the city of Sikeston, MO and surrounding communities. They work to partner with physicians, employees and communities to provide exceptional patient-centered care through a culture of service, excellence, efficiency and kindness. MDMC is proud to be ranked #1 in the state of Missouri for Clinical Process of Care and ranked in the top 10% of all hospitals in the United States reporting clinical and patient experience data. They ranked #3 in the state for Patient Experience by the Centers for Medicare and Medicaid Services (CMS) and is recognized as a Top Performer on Key Quality Measures. Eric Shell, Principal with Stroudwater Associates, worked with MDMC in 2014, through the Rural Hospital Performance Improvement (RHPI) project, on a Financial Operational Assessment (FOA). Center staff spoke with Jason Schrumpf, Chief Executive Officer (CEO) and President of MDMC, in January of this year concerning their progress. Q: What are some of your hospital's successes regarding implementation of Eric's recommendations? A: The FOA is a very large project and addresses a number of areas. Concerning Growth: The expansion of our 340B prescription drug program produced the biggest gain in revenue growth this past year. We converted our freestanding clinics to provider-based clinics which made all those script 340B eligible. Realizing the paradigm shift from fee-for-service to a population health payment model, we aggressively started pursuing ways to assume responsibility for insured lives in our communities. January 1, 2014, we joined a Medicare Shared Savings Accountable Care Organization (ACO) and later in the year started phasing eligible clinics in for the Missouri Healthnet Primary Care Health Home (PCMH). We made a decision to actively engage in population health with the goal of assuming responsibility for the quality and costs of care for the patients we serve. We hired transitional care coordinators that work with the ACO and PCMH. We also instituted behavioral counselors in 2 of our rural health centers (RHC) to address psychosocial issues and drive plan-of-care compliance. Additionally, we formed a narrow network with 4 of the largest employers in Sikeston. The network has enhanced patient volumes by categorizing MDMC as a top tier provider. In order to support this population health infrastructure, we turned our focus to recruiting primary care physicians and have successfully recruited 2 family practitioners. We continue to add nurse practitioners for both primary and specialty physicians locally and in our outlying clinics. We are also using Nurse Practitioners to help offset the physician load for nursing home coverage. We are working to implement care guidelines to alert nurses/physicians when patients need referrals for screenings. (Mammography, colonoscopy, prostate exams, etc.). All clinics now have informational "holders" in their waiting rooms to help market our specialist and ancillary service offerings. We also added a specialty clinic in a town 20 miles west of us to enhance accessibility and convenience. Finally, we recognized the need to add a community outreach marketer to help grow narrow networks, expand occupational medicine business and promote our ancillaries. We have grown our occupational medicine and preventive services to over 130 employers, recognizing a 93% increase in client billing for screenings and pre-employment testing. Concerning Ancillary Services: Our ancillary directors took a more active role in marketing current and new services like Tenex and Breast Stereotactics. We concentrated our marketing efforts directly to primary care physicians. Directors set a goal to contact 5 physician or providers per month. Subsequent growth includes an increase in radiology exams by 6%, lab tests by 4% and therapy visits by 20%. We purchased home sleep testing units, trained staff, set up billing and marketed this new service. Sleep referrals have been steady and the no-show rate has improved. Lastly, we brought on a Fiberoptic Endoscopic Examination Swallowing (FEES) unit to provide a more portable swallowing study solution. We met with smaller businesses (predominantly women) throughout the month of October about breast health/3D mammography and other women's health issues. Mammography tests are up 17%. We are working on enhancing relationships with providers and continue to talk to referral sources about ancillary services. Concerning Emergency Department: Understanding that over 70% of our hospital admissions come from the emergency department, we turned our attention to improving operational efficiency and streamlining processes. One example is implementing quick sort triage and pull to full. Over the last year, our "left without being seen" improved from a high of over 8% to under 2%. Our door to doctor time in the second quarter of 2015 was 12 minutes which ranks top 10% in the nation. This helped increase volume by 18% over the last year. Whiteboards have been placed in rooms to write information for patients (staff names, lab/radiology/test updates). In addition, we are doing bedside report so patients can hear what treatment is going on, what we are holding on, and if reporting is accurate. We are presently preparing for a major renovation and expansion of this department. New nursing and physician leadership has also strengthened relationships with our regional EMS providers. We host a quarterly lunch with our EMS providers to ensure expectations are met, discuss protocols and implement best practices. The hospital hosted a picnic/softball game with EMS and Department of Public Safety last fall and the 1st annual EMS/ED softball trophy was awarded. We will make this a yearly event. Concerning Quality: Our case managers and nurse managers meet every Tuesday and Thursday to ensure compliance with core measures and 2-midnight rule. Huddle boards are being used on the nursing units. Case managers are working with hospitalists to identify targeted discharge dates. There is a focus on communication with nurses and call lights and the 3 Ps. We are implementing a call light QI project. We finished #1 in our core measures in the state of MO and decreased our length of stay by 9% or .5 days over the last 6 months. Concerning Revenue Cycle Management (RCM): We have implemented a new comprehensive but patient friendly statement and hosted subsequent training on appropriate patient follow-up. We monitor coding daily for discharged accounts within suspense days and beyond suspense days and establish training through direct intervention, webinars, etc. We have been working to create our process for point of service collection and we created metrics to show cash collections in all registration areas including the emergency department. Training needs are consistently identified and on-going training is in place. We developed a report to provide information on a monthly basis to all revenue producing departments on late charges/credits affecting claims processing and each department head is held accountable to explain late charges and give a solution. Our gross accounts receivable days went from 70 in March 2014 to 53 as of May 2015. Q: What are the expected next steps towards adopting your consultants' recommendations? A: We have acted and fully adopted as feasible all of Stroudwater's recommendations. There is continued work to engage and develop middle management. We have hired a financial analyst and purchase software that will collaborate data from our multiple systems. The new user-friendly software provides our directors with real-time revenue and expense data. We are also on the verge of implementing a time management system that will track and link staffing to volume. A: Eric brought to attention the importance of covering patient lives in the communities we serve through population health programs. He introduced a Medicare Shared Savings Program that we joined in January and renewed our interest in the state medical home program. There was much emphasis on the importance of preparing for the transitioning to a new payment paradigm where fee for value trumps fee for service. We are proactively managing population health while tracking quality and costs. Resources on PCMH and tools to identify key populations. Best practice tools and KPIs to increase operational efficiencies and improve financial stability, and resources to minimize risk or optimize benefit relative to VBM.